Priests of the Archdiocese of Philadelphia are celebrating 25th, 50th and other significant anniversaries of their ordination to the priesthood this year. See our list of 44 priests and click on the priests’ names below to view their biographical profiles. 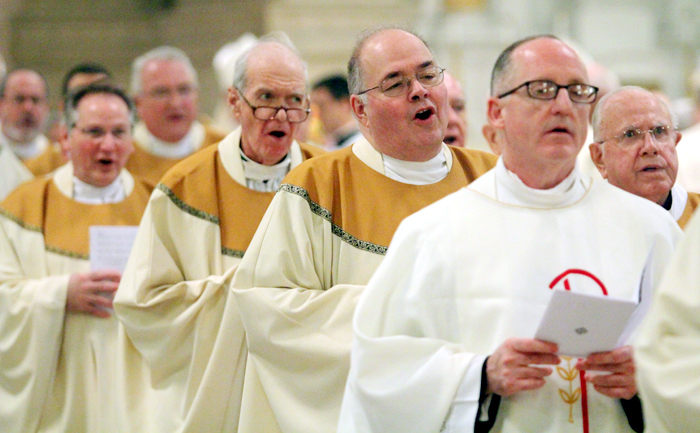 See a photo gallery from the annual priest alumni Mass at St. Charles Seminary, here. CatholicPhilly.com wishes all the priests many more years in their ministry — ad multos annos! Thank you for your vocations fathers. I am a happy divorced Catholic ( never wanted to be) and I was helped by good priests. People used to ask me where I got my energy and I would tell them “FROM THE MASS AND THE EUCHARIST”, We need you and we are proud of you. The church is my MOTHER.